“The Soul of Africa” is calling! If you’re visiting Tanzania for the first time, you will quickly notice that the rich and diverse geography of this effortlessly beautiful country seems to echo the very spirit of Africa itself; from its vast freshwater and salt lakes to Africa’s highest point, Mount Kilimanjaro (5,895 m), Tanzania is the Soul of Africa! The mountainous northeast (including Mount Meru, an active volcano) gives way to the Great Rift Valley, on the floor of which are a number of large salt lakes. West of the Rift lies Serengeti National Park, which is famous for its lions, leopards, elephants, rhinoceroses, and buffalo, as well as the annual migration of millions of white bearded wildebeest. Sprawling across the northern Kenya-Uganda-Tanzania border is Lake Victoria, the largest lake in Africa and traditionally named as the source of the River Nile. Separating Tanzania from the Democratic Republic of the Congo in the west is the serene Lake Tanganyika, which is estimated to be the second deepest lake in the world. The eastern coast includes Tanzania’s largest city and former capital, Dar es Salaam. The coast is home to areas of East African mangroves, whose swamps are an important habitat for wildlife, on land and in the water. Since the dawn of mankind, when the savannahs of east and southern Africa saw the birth of humanity, Tanzania has been home to countless peoples of many different origins, and its culture and heritage have been shaped by this diversity. Today, it has a population of over 26 million, encompassing 120 African ethnic groups, none of which represents more than 10% of the population. Unlike in many other African countries, most people identify themselves as Tanzanian, first and foremost. One of the reasons for the relative harmony between the various ethnic groups is that virtually everyone speaks Swahili in addition to their native tongue. Today, a great majority of the population has accepted and fluently uses Kiswahili, and English is generally well known. With its reserves, conservation areas, marine parks and 17 national parks making up approximately 38% of the country’s territory, Tanzania’s wildlife resources have been described as “without parallel in Africa” and it has been hailed as “the prime game viewing country”. 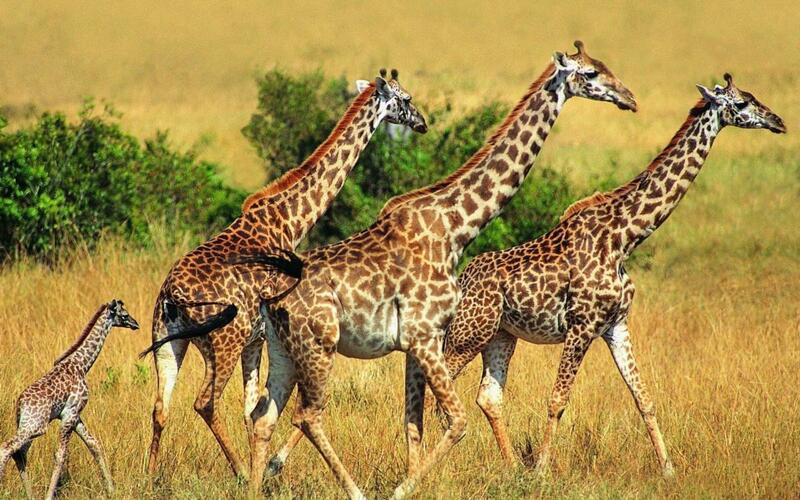 The national parks are also part of the wetlands of Tanzania, which particularly attract species such as the hippopotamus, waterbuck, common warthog, elephant, crocodile and sitatunga, as well as water birds such as flamingos and ducks. Serengeti National Park, one of the great natural wonders of the world, is famous for its extensive migratory herds of wildebeests and zebra, while the Ngorongoro Conservation Area is a UNESCO World Heritage Site and home to the largest intact caldera (volcanic craters) in the world. Tanzania has a tropical climate, with regional variations due to topography. Across most of the country, temperatures rarely fall below 20 °C (68 °F), but it is cooler in the highlands (10 – 20 °C / 50 – 68 °F). The hottest season is November – February and the coldest period is May – August. The north and east of Tanzania experience two distinct wet periods – the short rains (or “Vuli”) in October to December and the long rains (or “Masika”) from March to May – while other parts of the country have one wet season that extends from October – April / May. 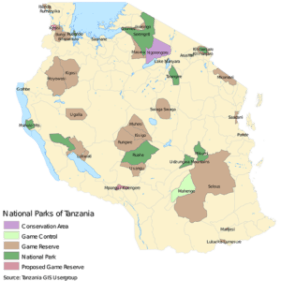 When Should You be Visiting Tanzania? Another major highlight is the migration calving season in Serengeti (December –February), which coincides with good trekking conditions on Kilimanjaro and fair weather down on the coast, too.